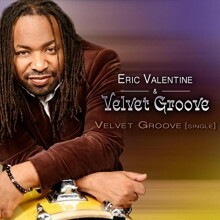 This Valentine’s Day the acclaimed contemporary jazz drummer Eric Valentine will be releasing his newest album, Velvet Groove, a collection of urban contemporary jazz he describes as “music you can feel…a sound full of different moods and textures.” Joining him on this project is an all-star cast of musicians including saxophonists Kirk Whalum, Gerald Albright and Richard Elliot, trumpet player Rick Braun, plus Adam Hawley and Darrell Crooks on guitar, Brian Simpson and Allyn Johnson on piano, and many other guests. 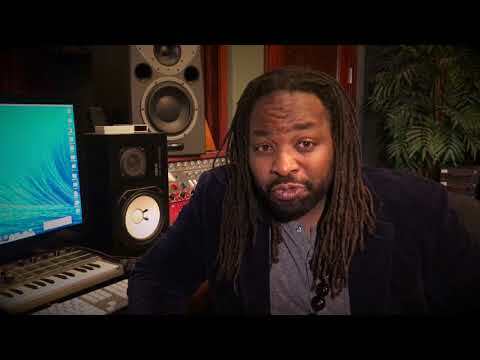 The multi-talented Valentine also contributes vocals, keyboards, and bass. The 13-track album offers ten full songs and three reprises that are filled with vibrant melodies and deft rhythms. Some tracks, like “E. 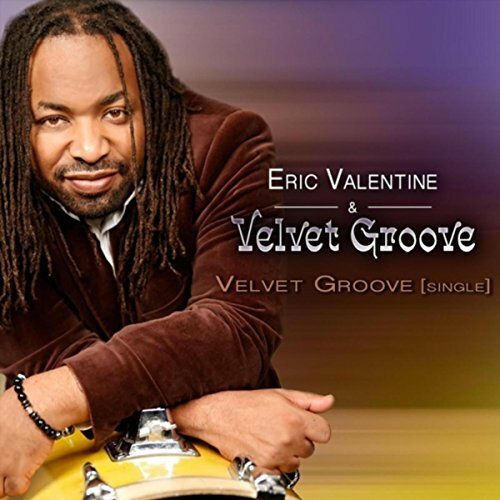 Love” and “Back in the Day,” also include soulful vocals sung by B. Valentine, Eric’s wife. The only song on the album not written or co-written by Valentine himself is a fresh take on Stevie Wonder’s “Joy Inside My Tears.” This track was given a more celebratory feel while still including members of Wonder’s horn section in the arrangement.